Most of us have rented at least once in our lives and one of the worst parts of renting is feeling powerless over your environment, right? You are paying money towards a home you will never own and you can do little to customize it to your liking…or so you think. 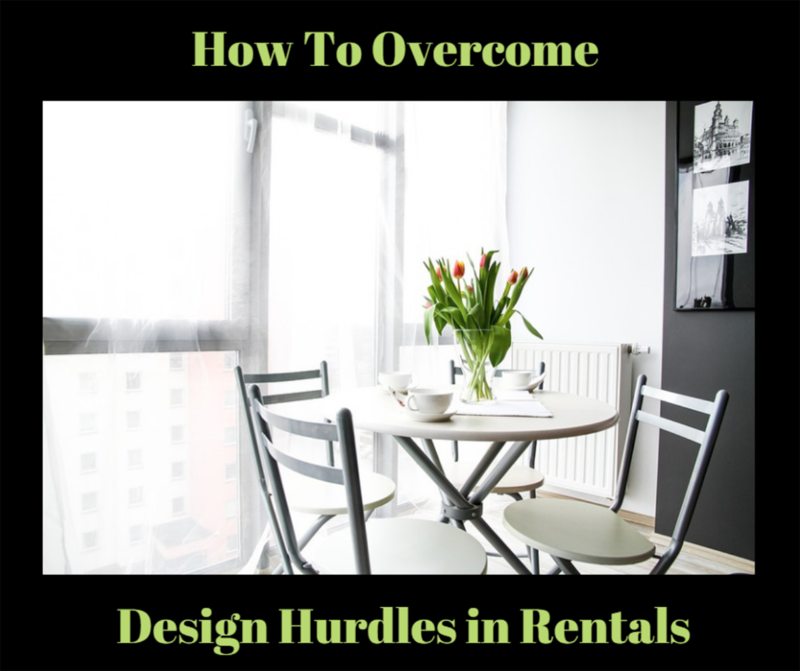 This article is all about how you can tweak your rental to make it a space that reflects you and can make it feel more like a home. Apartments and rentals tend to be the same shade of dull white. Luckily for some of you, white walls are all the rage for minimalist and scandinavian designs, but a big bummer if you are a lover of color and contrast. 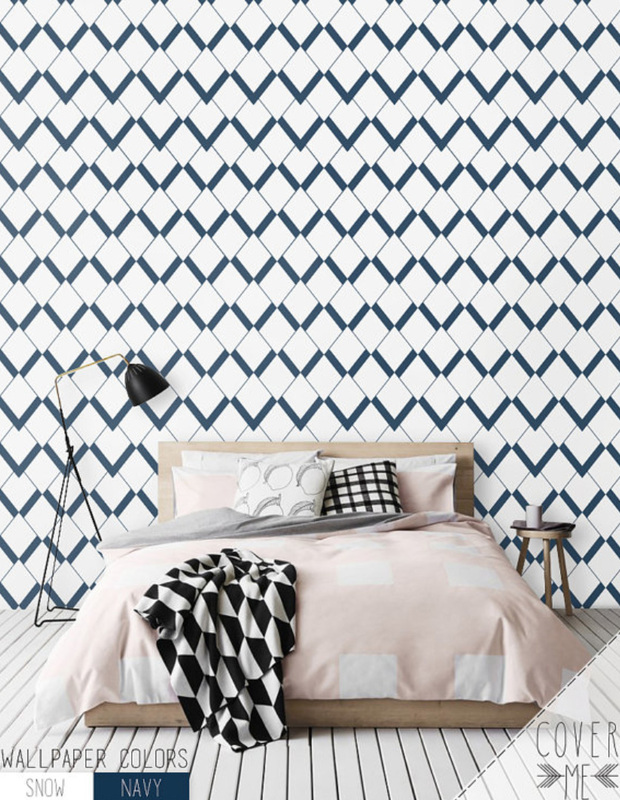 For you color and pattern lovers out there, allow me to introduce you to removable wallpaper. A simple solution that comes in nearly any design you could desire, including plain and paintable, and strips off when you are ready to move on to the next place. Some great options are showcased in this House Beautiful Article, or check out the Etsy option below.The change is non-permanent and won’t put holes in your walls! You can do temporary flooring, like vinyl plank and floating hardwoods, but it is tricky and best left for small spaces. Look at options like these vinyl floorcloths that can be cut to fit your space, are easy to install and would work perfectly as an interesting option for a bathroom. Existing floors can be transformed with rugs which come in an array of sizes and styles, and will cost a fraction of the total for temporary replacement flooring. 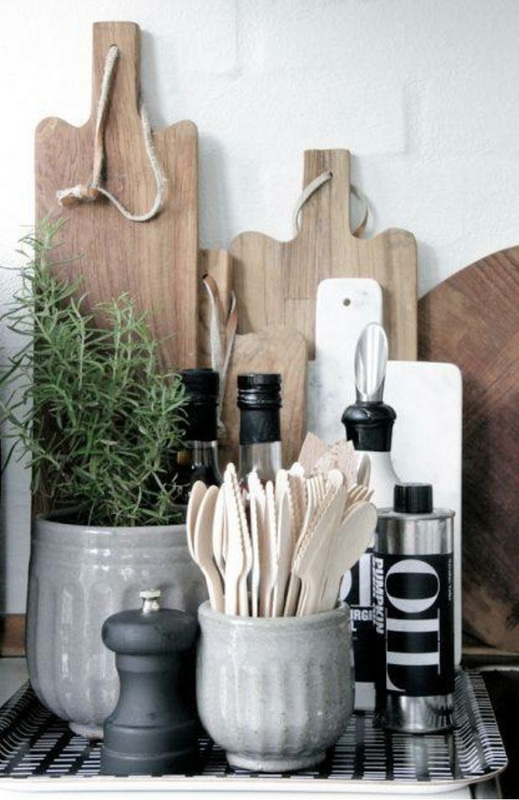 There are so many possibilities for transforming a rental kitchen and/or bathroom. All it takes is a little imagination and some elbow grease. First of all, check with your landlord about changing out the Cabinet hardware. 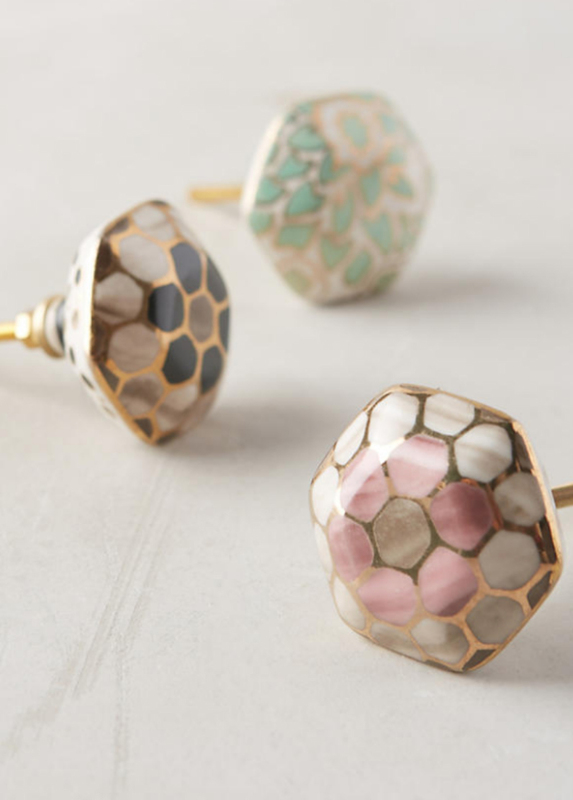 Cabinet hardware updates can make a world of difference, and there are so many fun options out there to choose from, like these knobs from Anthropologie shown below or some more transitional knobs like the ones found here. It goes without saying that you probably shouldn’t drill any new holes in your rental cabinets, but there is no harm in using what is already there. Not satisfied with just a change in door hardware? Try removing some doors and putting in some graphic contact paper to create pops of color with open shelving. Some people have even used the contact paper to disguise old, worn out cabinet doors. Etsy is always a great place to find unique items that will really set your space apart. If you aren’t in love with your countertops, there are contact paper options for those as well. The contact paper options are incredibly simple to apply and surprisingly durable. 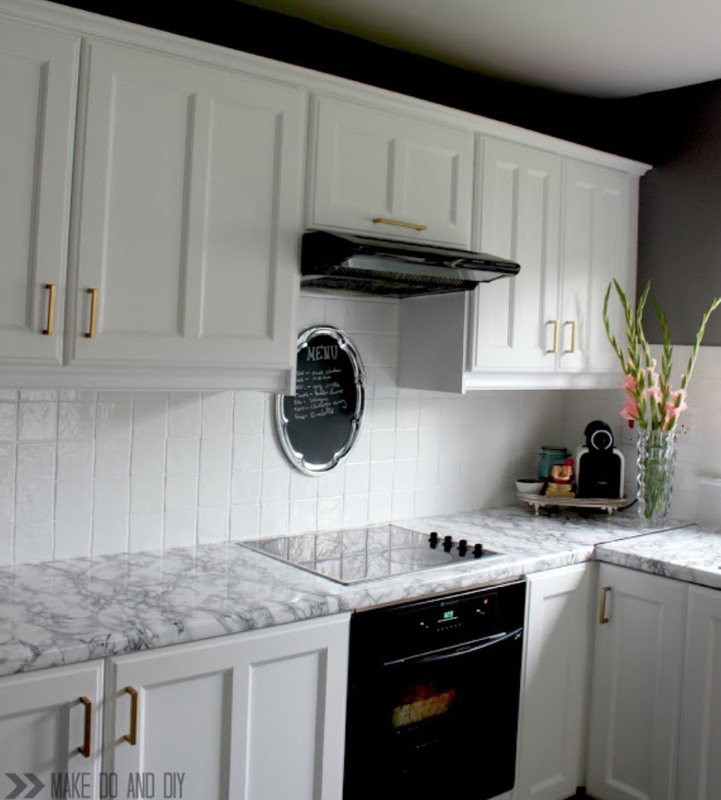 Check out this bloggers review of her kitchen 18 months after installing her contact paper countertops and see her adorable kitchen below. Another even easier option? Decorative storage and items that disguise the countertops and a beautiful cutting board for the work surface you need to keep open like this one from Williams and Sonoma. Sometimes your problems can be solved by embracing the quirky elements of your home. If I have learned anything from design is that almost any design element that is ugly to one person is beautiful to another. 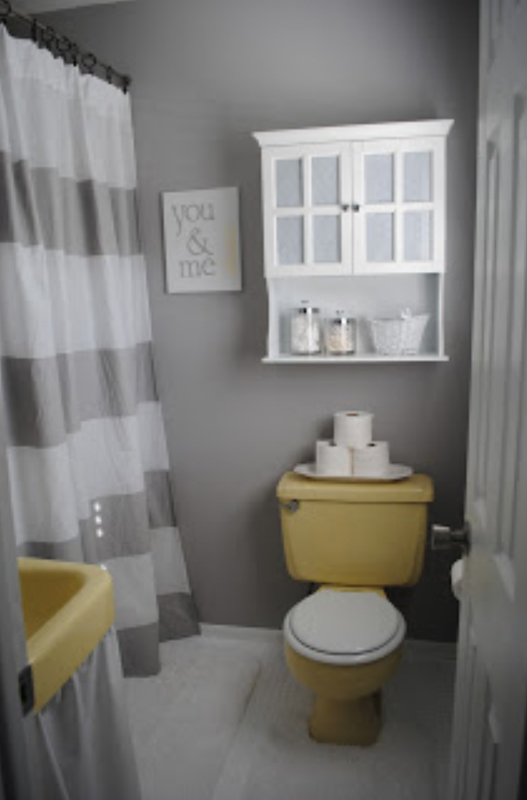 See the picture below to see how this blogger embraced her yellow sink and toilet to find a color scheme that actually embraced the outdated plumbing. You can work with almost anything with a little creativity!